Transporting industrial chemicals usually comes with a certain amount of risk. 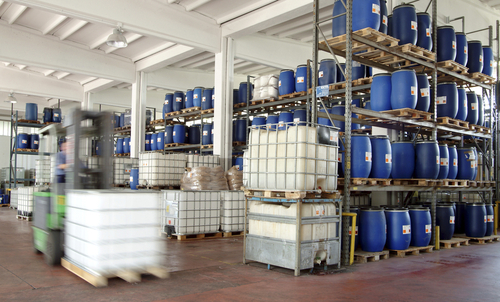 Many of these chemicals can be flammable or dangerous to both employees and the environment. That’s why it’s so important to use industry guidelines when transporting these materials using an IBC tote. 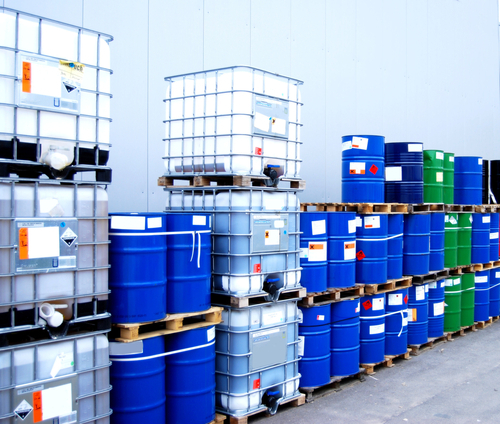 These storage and shipping containers are usually the best option when it comes to transporting chemicals. They use reinforced plastic to prevent the chemicals from leaking out the sides. They also have a handy gasket for quickly dispensing the chemicals inside. 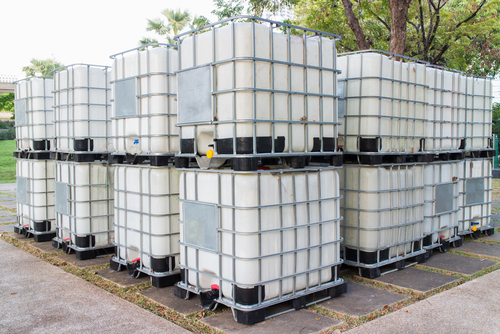 Learn more about how to best transport chemicals in an IBC tote. You never want to move an IBC tote without the help of metal pallets. Pinching or moving the tote from the sides can cause the container to puncture, spilling the contents all over your facility. It’s best to move the tote from the bottom using a reliable metal pallet. Wood pallets can spread dust, dirt and other airborne debris that can find their way into your chemicals. It’s best to invest in metal pallets, so you can use the same pallet over and over again. You also won’t have to worry about the pallet collapsing underneath the weight of the shipment. Make sure the tote is thoroughly fastened to the pallet before attempting to move the container. Slow and steady wins the race every time. There are several different kinds of plastic IBC totes for you to choose from when transporting your chemicals. Some chemicals can eat away at the plastic lining of certain containers, so it’s always best to do your research. This handy Chemical Chart from CP Lab Safety will help you get a better sense of what kind of plastic your facility should be using to transport certain kinds of chemicals. For instance, PTFE is the most chemically resistant resin, but it’s also more expensive. You should only invest in PTFE containers if your company is transporting extreme acids and oxidizers that cannot be stored in more economical plastics. Once you choose the right kind of IBC tote, don’t forget to label the container with the contents, any safety information about the chemical that may be pertinent to the transportation process, as well as the total weight of the contents. For more information on how to properly label your chemicals, take a look at the Globally Harmonized System of Classification and Labelling of Dangerous Chemicals. If you’re shipping these chemicals across long distances, logistics and supply chain teams may need to move the container on your behalf. Make sure everyone has all the information they need to move the container safely, so you won’t put anyone at risk. Depending on the type of chemical being transported, some employees may need to wear special safety equipment, including gloves and eye masks. How you mark and transfer an IBC tote depends on the mode of transportation. You’ll have to follow different safety regulations and shipping best practices based on how these materials will be transported. For example, the International Maritime Dangerous Goods Code (IMDG Code) is used to safely transport dangerous goods overseas, including dangerous chemicals. This code will help you prepare for the challenges of transporting chemicals at sea. If your company fails to follow the guidelines of these shipping codes, your shipment may be returned. To prevent any issues with the shipping and transportation process, look for these transportation codes to make sure you’ve met all the requirements. It may also be a good idea to invest in shipping or cargo insurance. Industrial chemicals like solvents and some flammable materials can pose a big risk to your company and the logistics team moving your goods across the country. That’s why you may want to give yourself some more peace of mind by taking out a cargo insurance policy. If anything goes wrong with the shipment, you can rest assured that you will be financially protected. Be sure to clearly list on the insurance application form what’s being transported, the risks it poses, the destination, transportation method and any materials used in the transportation process. If you fail to provide some of this information, you could be denied benefits. Transporting chemicals can make anyone a bit uneasy. But with the right IBC tote, you can keep your chemicals safe as they move all over the world. Use these transportation tips to keep your cargo secure. This entry was posted in Bulk Containers, IBC Totes on January 12, 2019 by dmadden.